You Can Now Buy CBD Oil in The United States, But is it Legal? Thanks to Hemp CBD Oil and the internet, American residents can now buy CBD in their respective states without a medical cannabis card. Did you know that residents without a medical marijuana card can now buy CBD oil in the United States? If you are not able to get a medical cannabis recommendation, buying CBD hemp oil is the next best option. While this is excellent news for hopeful cannabis patients around the country, there is one major dilemma: CBD is legally questionable. Many companies, like Elixinol Hemp Oil, ship high-quality CBD oil to all 50 states. Yet, the legal status of the supplement remains puzzling. Cannabidiol (CBD) is a non-intoxicating cannabis compound and is thus far expected to be safe to consume. However, over the past several years, lawmakers around the world have struggled with how to properly classify the molecule. Laws around the globe run the gambit from completely legal to completely not. In Australia, the chemical was classified as a Schedule 4 substance back in 2017, meaning that it is only available with a prescription. In the United Kingdom, the plant compound can be legally sold as a supplement, but any company making medical claims about their products must follow rigorous testing guidelines to achieve pharmaceutical status. Canada is the most progressive of the pack, making it legal for adults to purchase cannabis products by late 2018. But, what about in the United States? While certain states were among the first in the world to decriminalize the cannabis plant, laws regarding CBD hemp oil are nothing short of perplexing. In the U.S., you don’t need a medical marijuana recommendation to access hemp CBD. Many hemp companies readily sell the cannabis oil online and ship their products to all 50 states. The same cannot be said for medical cannabis, which is only available in select parts of the country. 30 states plus the District of Columbia have developed some sort of medical cannabis program. Yet, for residents in the remaining 20, buying hemp CBD oil online is the next best option. Hemp CBD oil is simply an extract from a plant that produces large amounts of CBD rather than THC, which is the compound responsible for marijuana’s famous psychoactive effect. In early studies, both THC and CBD have demonstrated medical benefits. For example, the two compounds may have meaningful pain-fighting and anti-nausea effects. However, due to the mind-bending nature of THC, psychoactive cannabis is still considered taboo. In fact, even in states that have legalized medical and recreational cannabis, it is still possible to be fired from your job for consuming THC. CBD, on the other hand, does not show up on a drug test and still offers many of the same potential health benefits. To add proof to the fire, a CBD-based medication was recently approved by the FDA as a treatment for severe and life-threatening forms of epilepsy. The same compound is also expected to have potent anti-inflammatory effects and has shown potential as an anti-depressant and anti-anxiety aid. For these reasons, it’s no surprise that the demand for CBD has skyrocketed over the past decade. As it turns out, many hemp companies are happy to oblige. You Can Buy CBD Oil In The United States, but is it Legal? CBD hemp oil makes cannabis available to those who otherwise lack access. Yet, if you’re searching for a clear answer on whether or not CBD oil is legal in the United States, you’ll likely be disappointed. While other countries have moved forward with cannabis policy, CBD oil manufacturers in the U.S. work under uncertain conditions. This uncertainty, however, hasn’t stopped hemp producers from selling. In fact, cannabis-derived CBD supplements are now available through some large-scale online retailers and even found on some progressive pet store shelves. Still, despite the supplement’s popularity, many of the rules on the books are contradictory. In 2014, for example, an amendment to the U.S. Agricultural Act allowed for the creation of state-sanctioned hemp production. The bill defines hemp as any cannabis plant that produces less than 0.3 percent THC, making the plants non-intoxicating. After the legalization of these pilot programs, hemp cultivation quickly sprang up around the country. Farmers began to grow cannabis plants that produced very high levels of CBD and virtually no THC, complying with the parameters of the Agricultural Act. It is from these low THC cannabis plants that CBD is extracted and sold in hemp-based supplements. However, while the Agricultural Act seems clear-cut, the legal status of CBD is different depending on who you ask. According to the Drug Enforcement Administration, cannabis extracts are only legal if they are made from the seed, stalk, and stems of the plant. Unfortunately, these plant parts contain only trace amounts of CBD. To make high-quality CBD oil, producers need access to resin-rich leaves and flowers. These parts of the plant remain illegal under the Controlled Substances Act of 1971. Yet, this decades-old legislation seems to contradict the more recent laws put forth by the U.S. Agricultural Act, which allow states to create and market products made from whole hemp plants. It is somewhere in the gray area between these two pieces of legislation that hemp CBD lies. On one hand, the 2014 Agricultural Act seemingly gives farmers the go-ahead for producing CBD. On the other, the Controlled Substances Act claims that the cannabis plant is illegal to cultivate, hemp CBD cultivars included. No Crackdown on CBD, Yet. While the legality of CBD is up for debate, there is still some good news for potential buyers. Even in the midst of legal contradictions, little action has been taken for or against CBD suppliers or consumers. Proper legislation and regulation for CBD are sure to come in the future. For the time being, however, no companies have been seriously punished for selling CBD across the country. Back in 2017, the Food and Drug Administration (FDA) did issue warnings regarding marketing claims made by some CBD companies. The companies in question were forced to clean up their websites and watch their language regarding health claims, but they were allowed to continue to sell their products so long as they met the demands of the FDA. To date, there has been no significant legal crackdown on CBD suppliers. Nor has there been any arrests or major problems for consumers who buy CBD oil online. The future of CBD remains a mystery, but thus far hemp CBD oil is the best option for curious consumers who struggle to access medical cannabis or adult-use. Interested in buying some CBD yourself? To purchase Elixinol Hemp CBD Oil in the USA click here. 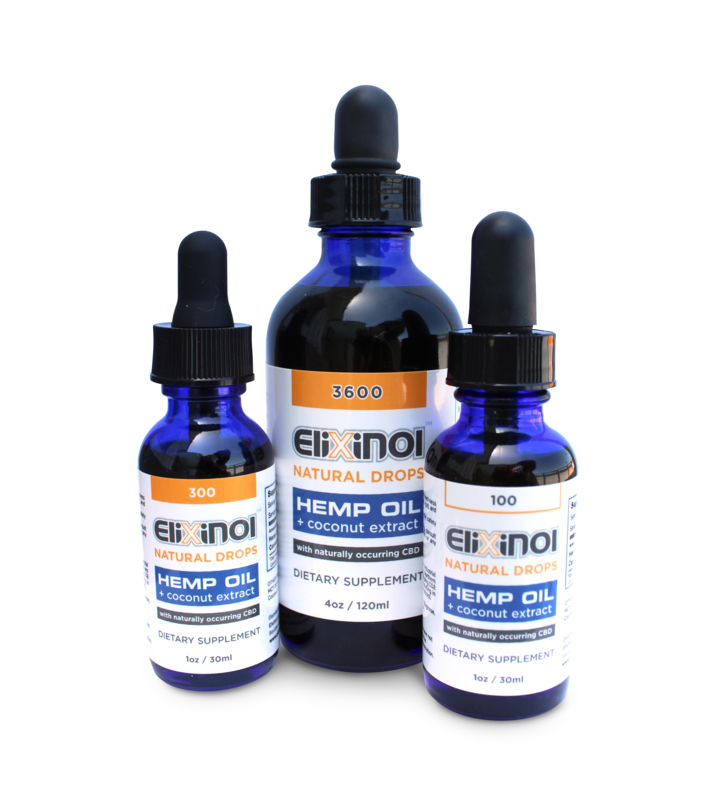 As a bonus, use code 10off566 to receive 10% off Elixinol Hemp CBD Oil!